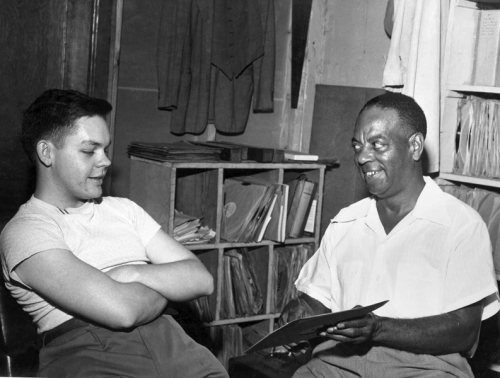 A general overview of the Hogan Jazz Archive collection and other helpful research resources for the study of jazz and the musical culture of New Orleans. The primary emphasis of the Recorded Sound Collection is on New Orleans jazz as played by New Orleans musicians, but there is also a representative sampling of related musical styles including blues, rhythm and blues, gospel, rock and roll, and Cajun, as well as African and West Indian forms. The discs include notable donations from the collections of Al Rose, Edmond Souchon, Roger C. Gulbrandsen, Richard B. Allen, Tad Jones, and Robert Palmer. The tapes include many recordings of jam sessions and other unreleased materials, including complete coverage of the Tulane Hot Jazz Classic performances of 1982 and 1983. The Hogan Jazz Archive has more than 40,000 phonodiscs (78, 45, and 33 1/3 rpm), 800 tapes, and 130 cylinders. The majority of these recordings reside in our General Recorded Sound Collection, however, audio formats can also be found in several of our manuscript collections including the Tad Jones Rhythm and Blues Collection, the Robert Palmer Collection, and the Don Ewell Collection. We do not currently have an electronic index for the General Recorded Sound Collection. For inquiries about our holdings in this collection, please contact us directly. The Hogan Jazz Archive has over 2,000 CDs that are searchable in the Library Classic Catalog. For a more precise search, use the Advanced Search and be sure to limit your Location to "Special Collections (Jones Hall)" and Type to "Musical Recording." Tip: Keyword searching works best for identifying specific musicians, bands or album titles.